It’s key to have an idea of how to start writing a book before you worry about your story’s actual beginning. First lines and first paragraphs can be tweaked to your heart’s content once you have a firm plan to finish. Often aspiring authors tell us ‘I can’t think of what to write about’. Yet story ideas are everywhere. Powerful, haunting, exciting or otherwise pivotal life experiences you’ve had are important places to mine for story ideas. In a wide-ranging interview with Oprah Winfrey, for example, J.K. Rowling said the passing of her mother is ‘on every other page’ of her multi-million bestselling Harry Potter series. For Rowling, a deeply personal experience led her to think about death, what it means, and to unpack this theme throughout the series. Interests, or subjects you know a lot about, are great idea sources. If you’re a history buff, for example, finding a fascinating historical event to make the foundation of your novel makes sense. If a particular genre of fiction is your great love, try these tips to find great story ideas within your genre. Use Now Novel’s Idea Finder in the member area, too, to brainstorm the central idea for your story. A lot of writing, like any art, is trial and error. Like a painter trying new application techniques, you might, for example, create timelines only to find an excel spreadsheet of plot points or settings and their details is more useful. 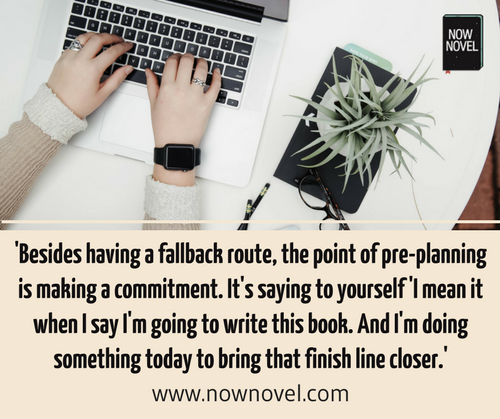 Whatever your preferred outlining approach, choose one that gives just the amount of structure and organisation you need to start your novel. Try these book outlining methods. You could use a different approach for each chapter, even, and alternate each with writing the corresponding draft. Which feels the most natural and helps you progress the easiest? If you tend to be a pantser, then a two-line synopsis per chapter may be all you require. You can also use Now Novel’s story organizing system to gather ideas for plot, setting, character and more, working step by step through a sequence of prompts to build a blueprint for your story. Key to learning how to start writing a book is learning how to balance the different parts of this process. You can’t spend forever outlining or doing research. First and follow-up drafts must be written. In your writing schedule, on a calendar, decide when you’ll start drafting. Our Kickstart your Novel course, for example, gives you a week to set up a usable process, a week to work on a synopsis, and 3 weeks to write your first three chapters. 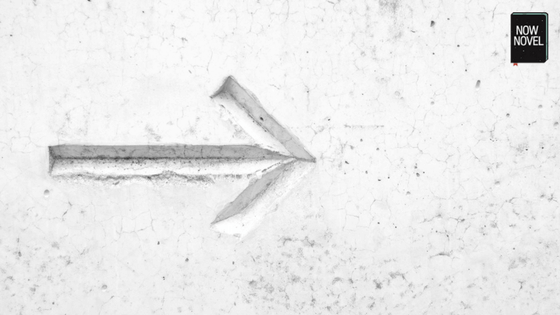 That way, no one part drags on forever. Later drafts can be more expansive. To begin, get everything you can on the page. Once you’ve done the pre-planning you need – be it research, outlining, creating plot and character timelines or other preparation – make your drafting process easy. The key to learning how to start writing a book is to break up the process into manageable tasks. Manageable tasks you can attain sustain motivation. Impossible tasks with unrealistic expectations attached lower motivation. 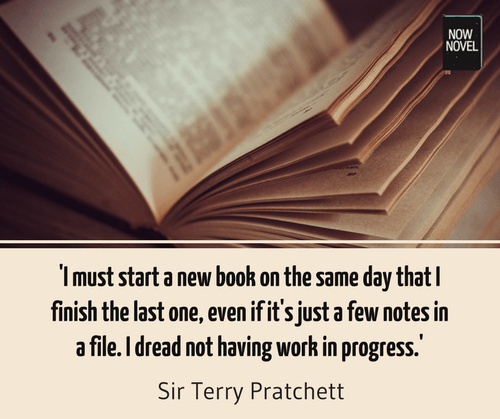 At Now Novel we often hear ‘I don’t have time to write’. Yet time is not something we have; it’s something we make. Set aside time, even just 10 minutes per day. Start a timer when the time begins, to reinforce the feeling that you’re keeping an important writing appointment. Remember to reward yourself with something fun – a YouTube clip, a walk, yoga, a fun social event – for reaching milestones in the writing process. Associating rewards with your hard work will sustain a sense of achievement. This helps to maintain motivation. Here are additional tips on making your process productive. Yet suspense isn’t only unexplained disappearances and shifty villagers with motives. It might be the simple question ‘will they meet again?’ (for example, when two romantic leads bump into each other in a chance encounter and are parted before anything binding can develop). Brainstorm a situation that leaves your reader wanting to know what happens. Make sure your start makes the reader ask ‘What could happen next?’ Here are further tips for growing suspense. Who will be the teller or narrator of your story and what is their relation to the story’s main events? Are they an active participant or a bystander watching over unfolding events? If your story is told like an autobiography, for example, and you use a first person narrator, how will they introduce themselves? They could describe their childhood, a ‘from the beginning’ type of opening. Or they might leap straight into a present situation. Here are examples of story openings that include first person narrators. As this example shows, a single event (the discovery of a body) can unfold into a wide-ranging chains of cause and effect. Each rippling effect has potential for drama and tension as well as moments of humour or levity, depending on the tone and subject matter of your book. What is the pivotal event that sets your story in motion? This is the inciting incident or event and is excellent fodder for a gripping first chapter. Right from the start of your book, give your reader a sense of character and setting. Sometimes an introductory setting can foreshadow later developments. For example, in Brideshead Revisited, Evelyn Waugh describes the grand manor owned by the family of the protagonist’s friend. Towards the end of the novel, the protagonist visits the manor again near the end of the war, and it is fading and crumbling. This about face from beginning to end creates a poignant, nostalgic effect. It’s a masterful use of setting to build an elegiac, wistful tone. Here are tips for introducing your characters compellingly once you decide how to start a book. Great starts in fiction have both compelling hooks – the events and questions that create interest – and compelling ends. As you draft your first chapter and near the end, think about what could happen to make the reader wonder what happens next. For example, in Kazuo Ishiguro’s novel The Buried Giant, set in early England, an ageing husband and wife decide, at the end of Chapter 1, to visit a son they can barely remember. The distance of the journey, their age, and their uncertainty about their destination or the person they’ve decided to seek together create narrative suspense. The ending to this start gives a clear departure point, a sense of narrative direction and purpose. Although not a nail-biting page-turner, it piques our interest and makes us curious to discover what the journey entails. Have a question about your story’s opening? Get constructive critique now from the Now Novel community or work with a writing coach 1-on-1 to make progress.